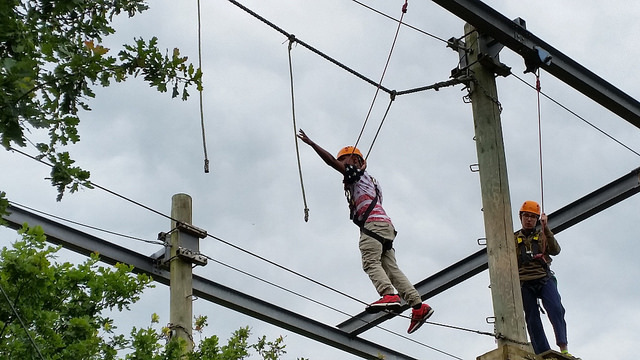 The Royal Bermuda Regiment Junior Leaders (JL) is a voluntary youth organization which exposes young people to military life and promotes leadership development, teamwork, discipline and fitness, and ultimately have fun. The Commanding Officer is responsible for the JL program and the JL Commandant is responsible for the day to day affairs of the program. All adult instructors (JL Officers and RBR staff) must sign on to the RBR’s code of conduct for working with young people. To join the JL programme please call the Junior Leader Full Tim Instructor CSgt Tim Furr at 238-3883. Any boy or girl who is in M2 (or equivalent) and is less than 18 years of age can join the Royal Bermuda Regiment Junior Leaders. Junior Leaders gain insight into the Regiment and are encouraged to join when they are 18. You can join at any time during the year. However, we suggest that you sign up at the beginning of the school year as this ensures that you get the full training curriculum. The Junior Leader Handbook and enrolment package can be downloaded here. To visit the Junior Leader Facebook page please click here. Through the RBR JL’s sub-licence agreement with the Duke of Edinburgh International Award Bermuda, JL’s are able to gain credit toward the Bronze, Silver and Gold awards offered Duke of Edinburgh International Award Bermuda. Weapons:All junior leaders enjoy the excitement of weapon training. As a junior leader you will learn safe handling procedures, proper care and firing techniques. Safety and security are a priority at all times. Drill:This is the lesson that everyone thinks is the hardest, but it’s not! 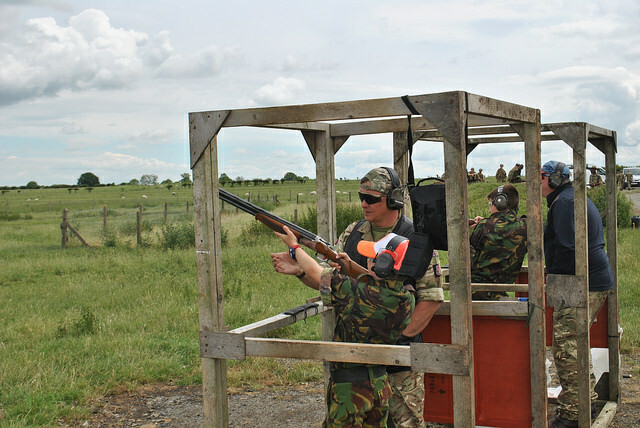 Drill forms the basis of discipline and plays a key role in the life as a Junior Leader. Troops learn basic drill requirements and as they advance through the ranks they learn more complex movements. The RBRJL displays its skills annually at The Queen’s Birthday Parade, the National Service of Remembrance and the Junior Leader Church Parade and Drill Competition. Physical Training:PT typically takes the form of an early morning workout, yet is also incorporated into some of the other training you will do. Stretching, calisthenics and running help prepare Junior Leaders for not only the day ahead but athletic competitions and a healthy lifestyle in general. 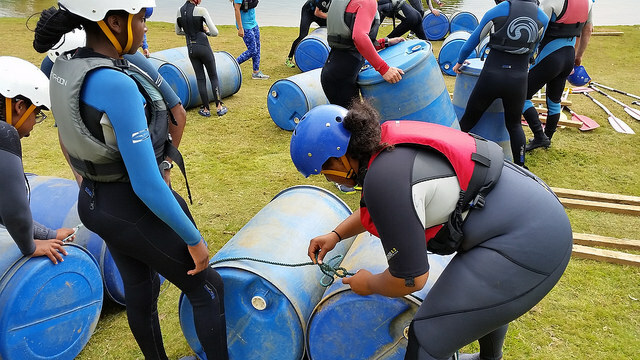 Adventure Training:Junior Leaders also enjoy an adventure training package, which includes kayaking, abseiling, diving, and invigorating outdoor activities. Training is done in various locations around the island and is supervised by certified Regiment instructors. Fieldcraft:The RBRJL will teach you how to construct shelter, cook and otherwise live in the field...with proper field hygiene, of course! 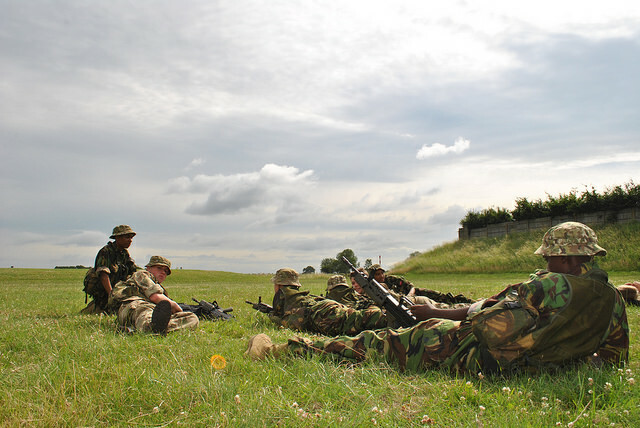 Using equipment issued by the Junior Leaders, you will learn camouflage and concealment, harbour drills and field discipline. Other Training:The RBRJL prides itself on a well-rounded curriculum and junior leaders can expect a wide variety of training. You will learn signals, map reading and even etiquette. 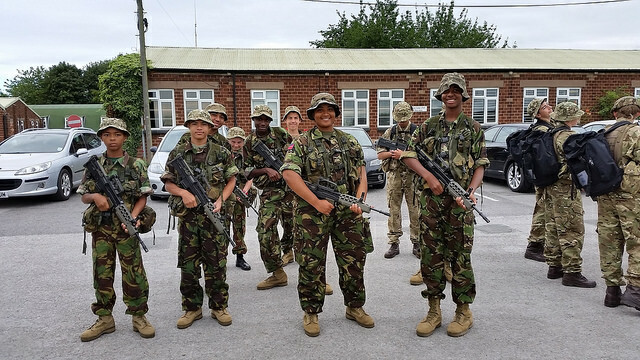 Local and Overseas Camps:In addition to the local two-week Annual Junior Leaders Camp in July, the Junior Leaders send contingents abroad to train and learn with other units in the UK, Canada and the Caribbean.